All Points 26-2106 Chrome Door Spring; 5 7/16" x 1 11/32"
This All Points 26-2106 door spring is a perfect replacement for the one that came with your compatible equipment. Replace a broken or worn out spring so that the door on your unit opens and closes smoothly. Measures 5 7/16" x 1 11/32" overall, with a 3 21/32" long spring body. 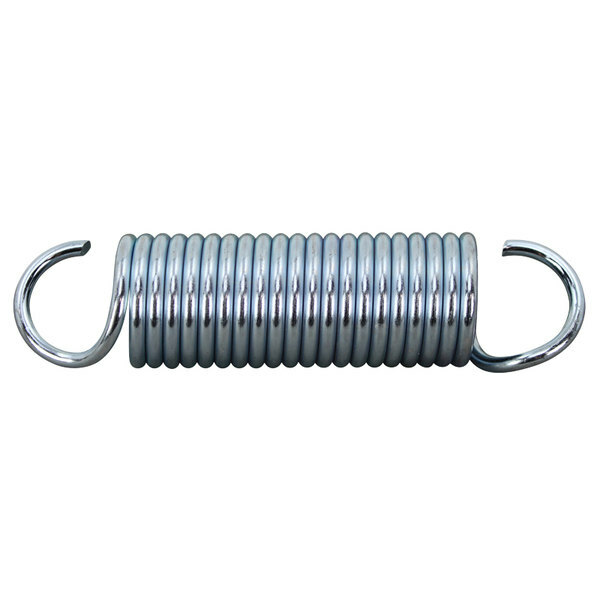 All Points 26-1233 Door Spring; 6 3/4" x 1 1/4"